Propolis known have several biological activities1. Recently, we found that the stingless bee cultivated in east Indonesia produced a lot propolis. The source of resin for the propolis production, still unknown. To confirm that the Indonesian propolis have similar activities with other propolis, we performed several study related to the biological activities of the propolis such as, the anti-Candida albicans, anti-inflammatory, and anti-oxidant and it molecular marker, were studied. The results showed that the Indonesian Propolis have anti-Candida albicans2, anti-inflammatory and anti-oxidant activities3. About 7, 7, and 35 molecules are found as molecular marker for their activities, respectively. The molecules are different with other propolis. Acknowledgements: The author would like to thank the financial support from DRPM UI Grant of Indexed International Publication of Student Final Project (Publikasi International Terindeks Untuk Tugas Akhir Mahasiswa/PITTA) 2018. 1. Sonia MF, Marcia CDF, Daiana TO, Marina BM, Sidney AVF, Rachel BC (2018) Biological Activities of Red Propolis: A Review. Recent Patents on Endocrine, Metabolic & Immune Drug Discovery (in press). ISNAD SAHLAN, Muhamad , PRATAMI, Diah Kartika , ASIH, Safira Candra , DEVINA, Andrea , MAHADEWI, Alfiani Guntari , YOHDA, Masafumi , FARIDA, Siti , ADAWIYAH, Robiatul , SITUMORANG, Herbert , HERMANSYAH, Heri , WIJANARKO, Anondho . "The Biological Activities of Indonesian Propolis and It’ s Molecular Marker". 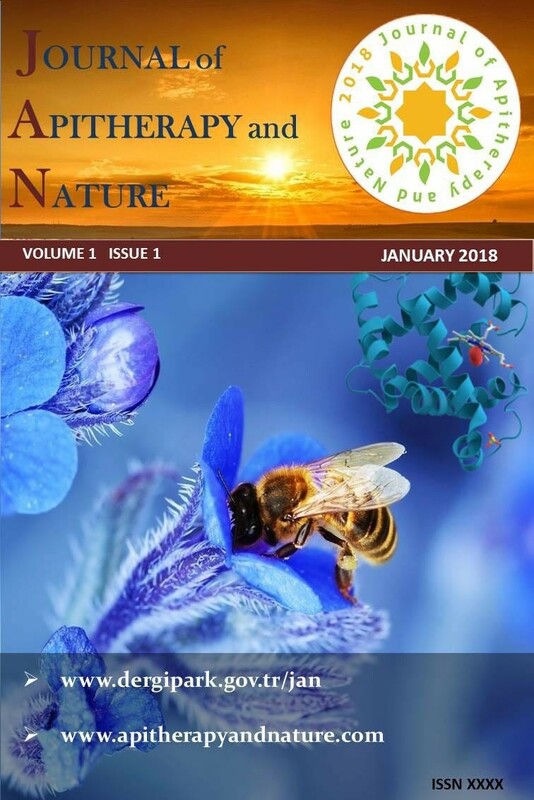 Journal of Apitherapy and Nature 1 / 3 (December 2018): 66-66.